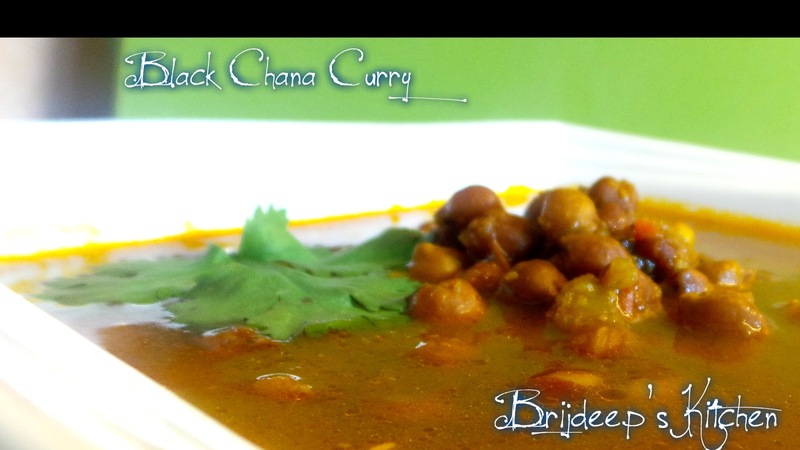 I seriously have no idea why the combination of Punjabi Black Chana curry with rice is not as famous as it deserves to be. I really, really love this wondrous, spicy, amazing, mouth-watering curry, yes, sometimes even more than Rajma. While Rajma-chawal combination is so famous, it makes me feel really sad for the black chana and I wish I could bring this combination to more and more light and make it famous !! 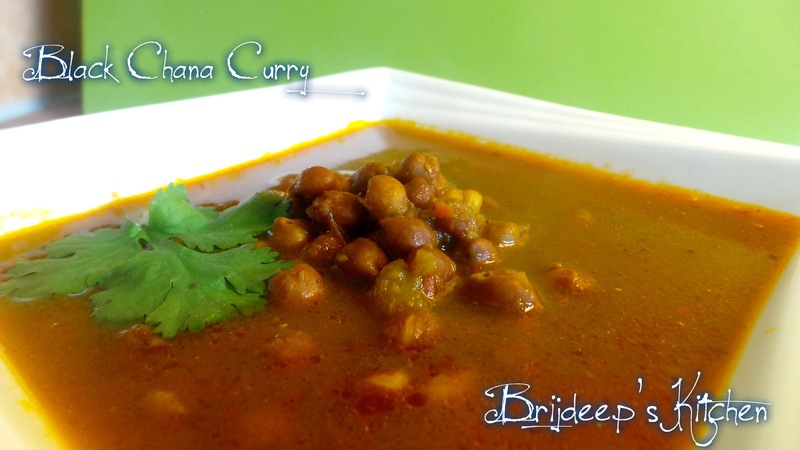 This curry is a family favorite and common in Punjabi households. Typically eaten with jeera rice, this is one heavenly pleasure to indulge in. 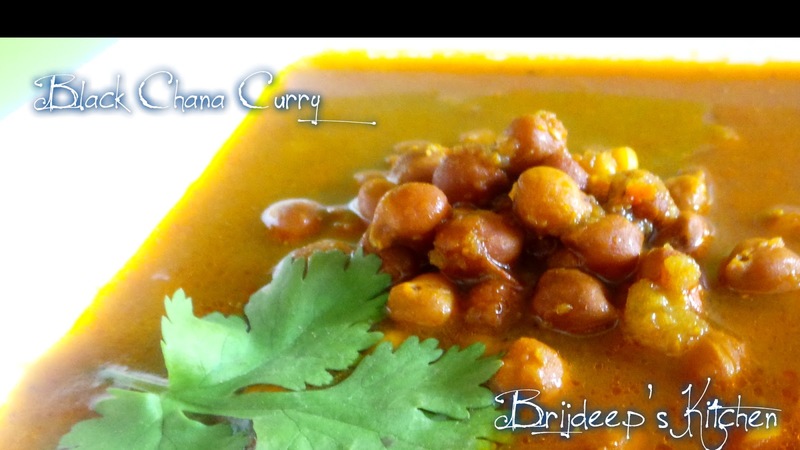 The aroma of the curry being prepared with the use of fresh home-made black chana masala (oh yes, there is a spice powder JUST for this recipe) will wake all your senses and make you hungry; you bet !! 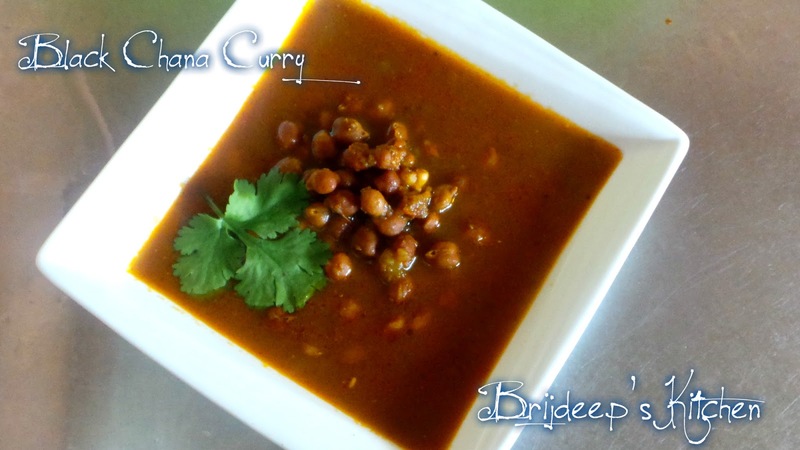 So come on and give this recipe a try..
Soak the black chana in a big bowl of water for overnight (7-8 hours). The size of chana will be 1.5 times after they are being soaked. Drain the water and wash them thoroughly. Put in a pressure cooker with 6 cups of water and boil it for 8-9 whistles. When the steam is eliminated from the cooker, open it carefully (because of the hot steam) and take out 2-3 chanas with the help of a spoon and check them if they are done by eating one or two. Keep them aside. Now put the chopped onions and garlic in a grinder, add little water and grind it well. Take out the mixture in a bowl. Keep aside. Now put chopped tomatoes, green chilli and ginger in the mixer and grind them together. Take out the mixture in another bowl. Keep aside. Now we begin to prepare the curry. Heat oil on medium flame. When hot, crackle the cumin seeds and add asafoetida. Let it splutter for a bit and add the onion-garlic paste. Cook it well till it starts getting brown and leaves oil on the side. This step is very important. Now, add the tomato paste onto the pan and mix well. Add salt, turmeric powder and red chilli powder. Mix well and let it cook till the tomatoes are cooked completely and whole of the mixture starts leaving oil at the sides. Then you know the masala is done. Add the chana masala at this stage and give everything a good stir. Now add the boiled black chana from the cooker to the pan (without the water) and fry them in the masala for about 5-7 minutes. 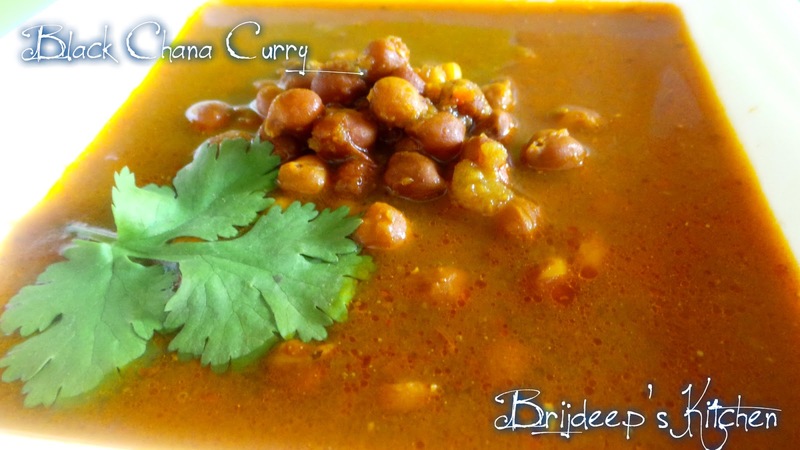 If you skip this step, the masala won't be fully absorbed in the chana. Add all the contents of the pan to the cooker (with the water) and keep it on medium flame. Add some more water if necessary. It is usually eaten with rice so the consistency should not be thick. But don't add water if you plan to have it with pooris. Let it boil for about 20 minutes. Turn off the heat and cover the cooker with its lid (don't lock the cover, just keep the lid) for about 10-15 minutes (depends on your level of patience). Open the lid, garnish with fresh coriander leaves and serve hot with steaming jeera rice or hot pooris. Loved this recipe? Don't forget to leave your feedback and a comment in the comments section below. Join me on Facebook for regular food and recipe updates. Looking for more Punjabi recipes? 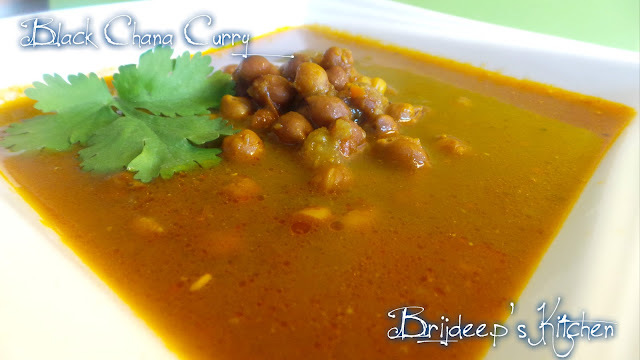 You might love Punjabi Rajma Masala, Punjabi Kadhi with Pakoda, Paneer Makhani, Pindi Chhole and Black eyed beans curry.